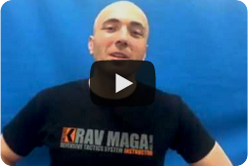 Krav Maga Touring and Training in Israel: The Institute Experience, Day 4. Apologies that this post is slightly late, we have been ‘on the road’ for a couple of days. This past Monday saw our first full day of touring. Make no mistake about it though, this was not a break. The end of the day saw each and every member successfully exhausted. First stop was “Yad Vashem”, the holocaust memorial and museum . The trip there was intense and provoked deep contemplation. Next we took advantage of some free time in “Machanee Yehuda” (a Jewish food market) in the Old City to, reboot, refuel, and to test out our skills haggling with the local market traders. In the event of being drawn into a situation where it was impossible to flee, swift deflections coupled with immediate counters got the job done. There was no stopping us as we descended to explore the tunnels beneath David’s City. The route was pitch dark, confined of space and the water ran waist deep. The Dutch member of our team took it upon himself to hide in the darkness and jump out on various Institute of Krav Maga UK members, each and every one of whom, I am happy to report back, responded with no more than the appropriate level of aggression under, quite frankly, a high level of stress. Following our ascent, we regrouped, redressed and refocused ourselves for the chance to experience a more personal moment at the Western Wall, located at the foot of the Western side of the Temple Mount. The day was nearly over, save for an unexpected run-in with a camel as we made our way South. The camel was mounted a few times, but his releases, with somewhat exemplary bridging, were phenomenal.